Check out this month’s starmap. Believe it or not, the answer this month is either Sirius or Mars – and they are in the same part of the sky. Jupiter is up at sunset, setting around 7pm. Mars will be up all night, and beautiful. Look midway up in the east around 10pm. Saturn will be rising in the east around 10:30pm. Venus will not be visible; it is in the same place as the Sun. Mercury will also be very hard to find, but it rises just before the Sun, so you have a chance. January 2 – Perihelion. At 7pm the Earth will be at its closest point to the Sun. January 4 – Latest sunrise of the year, also Spirit’s 6th anniversary on Mars. January 25 – Mars Planetarium show opens at Pacific Science Center, also Opportunity’s 6th anniversary on Mars. January 29 – Mars is at opposition, the best time to observe it. January 27 – Mercury at greatest elongation, best time to observe Mercury. January 30 – Facing Mars exhibit opens at Pacific Science Center. SCIENCE: Obviously you’ll need to notice Sirius, the brightest star in the night-time sky, and if you’re wondering about that other one nearby, that’s Procyon. It’s not in Canis Major, it’s in Canis Minor (the little dog), but it’s nearby. 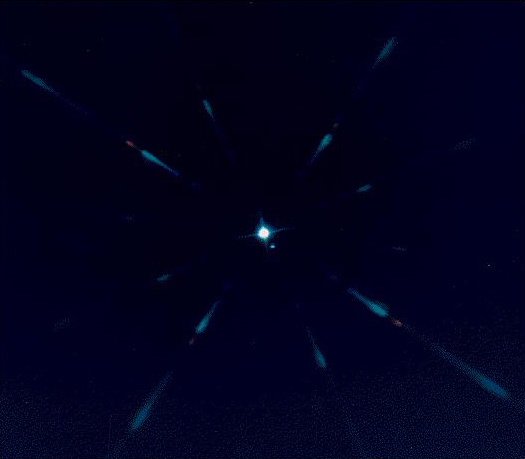 If you have a new telescope (or an old one), Sirius might be a fun target, it’s bright enough to find with your scope semi-easily, and it’s a double star, so once you find it look for the teeeeensy-tinsey companion star. (I say “semi-easily” because learning to point a scope takes practice). MYTH: Traditionally Canis Major and Minor are known as Orion’s hunting dogs, but children today will recognize something else in this constellation. The star Sirius is the inspiration behind the name of J.K. Rowling’s character Sirius Black in the Harry Potter series. Sirius Black is an animagus, a man who can turn himself into an animal. Guess what animal he becomes? Yup – a dog. A big, black dog. She knew her stuff. SCIENCE: Oh beautiful M44! 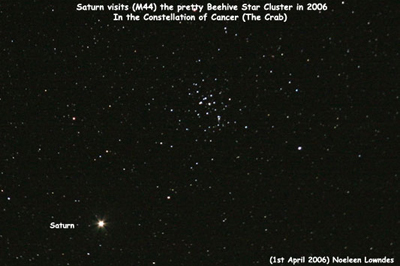 Messier Object #44, the Beehive Cluster, is in the middle of Cancer. I have been told it’s called the Beehive because it’s full of little triangles of stars which look like bees swarming around. MYTH: The ancient Egyptians saw Cancer as a scarab beetle – a symbol of life and immortality. SCIENCE: The star Wolf 359 is in Leo. It’s the third closest star to the Sun – and you might remember it from Star Trek fame – the Battle of Wolf 359, where the Federation attempts to hold off a Borg attack. The other closest stars are Alpha Centauri and Barnard’s Star. It’s too dim to see without a telescope or a camera, but it would be between Leo’s front and back feet. 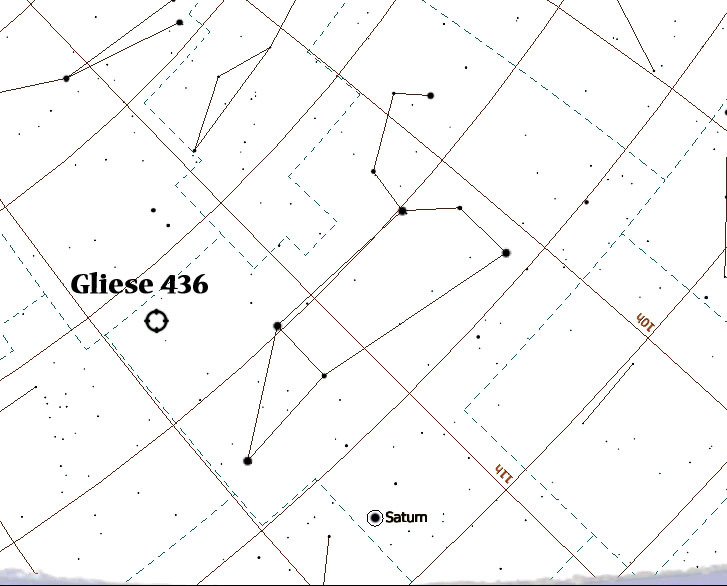 Gliese 436 (I know, terrible names) is ALSO in Leo. There may be a small Earth-ish-like planet around this one – there’s definitely a Neptune-ish-like planet. We talked about a similar discovery a while ago – and this discovery is by the same team. MYTH: The Khoisan people of South Africa call Regulus the “Fire Finisher.” It is a star that marks the time of night in the winter. Unfortunately, in the paper I read, the Fire Finisher might also be Antares or Arcturus – depending on which tribe you ask. Regulus is called “G/wi” – and I’m sorry, I can’t help you pronounce that, the “/” is an actual part of the anglicized spelling, because the Khoisan languages are the “clicky” languages of the San (Bushman) people. (This is from Astronomy Across Cultures, a book of scientific papers on traditional astronomy around the world. It’s an awesome book, and VERY hard to get a hold of). Going for the Gold? Here’s this month’s itty-bittys. Selin, Helaine ed. Astronomy Across Cultures. Kluwer Academic Publishers. 2000.